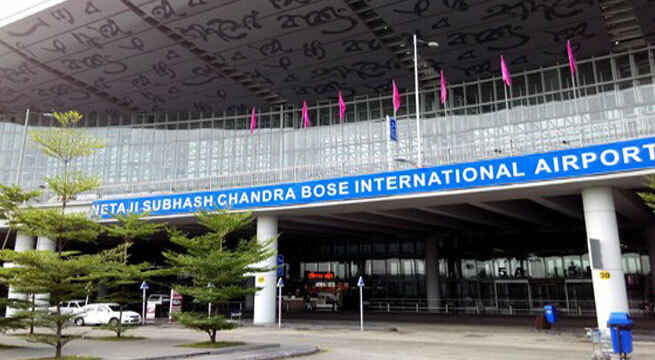 Security has been increased at the Netaji Subhash Chandra Bose International Airport in Kolkata after a threat call was made to the Kolkata Police Headquarters at Lalbazar on Wednesday morning. Thorough security checks are being carried out at the airport, both at the cargo and the passenger terminal. The Central Industrial Security Force (CISF), which is in charge of airport security suspects the call is a hoax. All cars entering the airport premises being checked before being allowed in to approach the terminal where passengers get off and head towards the check-in counters inside the terminal. Sniffer dogs have also been deployed. The caller,identified as Arshat from Guwahati, claimed to carry suicide bombing attacks in the Airport premises. Police had launched a manhunt to nab the alleged caller.